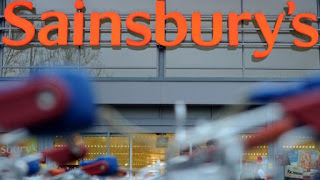 Sainsbury's has said it will cut up to 2,000 jobs from its human resources staff. The chain, which is the UK's second biggest supermarket, says the "difficult decision" is part of a plan to save £500m of costs. The restructuring will affect roles in stores, as well as in the company's central offices. It plans to make 1,400 payroll and HR clerks redundant and other changes could see another 600 posts removed. The majority of the headcount losses will be from within the stores. The 600 roles on which the group is consulting are predominantly HR roles across the supermarket chain, its newly acquired Argos chain, as well as Sainsbury's bank. Sainsbury's also owns Habitat, and employs nearly 200,000 people in total. It said it would offer affected staff alternative roles wherever possible, or redundancy packages.